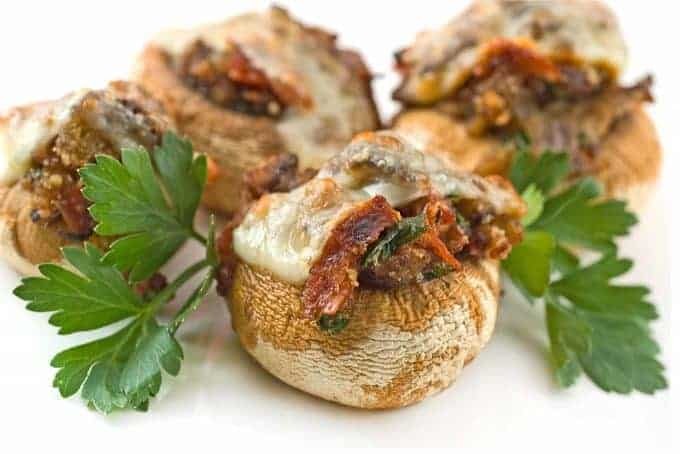 Stuffed mushrooms are always a hit on the appetizer menu. 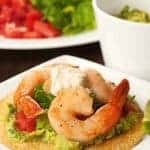 This recipe gets a little bit of extra flavor from some chopped Genoa salami and a bit of crushed red pepper. 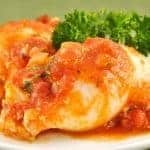 They complement an Italian menu quite nicely and can be made ahead and reheated with no problem at all. 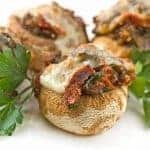 Stuffed mushrooms are a perfect appetizer for entertaining and this recipe, flavored with Genoa salami and a bit of crushed red pepper complements an Italian meal particularly well. Clean the mushrooms, separate and finely chop the stems. Place 2 tablespoons of the olive oil in a large pan over medium heat, add the chopped mushroom stems, salami, garlic and onion. Sauté for 5 to 6 minutes, stirring frequently, until the vegetables are soft and fragrant. Add the butter, allow it to melt and mix well before adding the lemon juice and breadcrumbs. Combine thoroughly and add the crushed red pepper, salt and freshly ground pepper to taste. 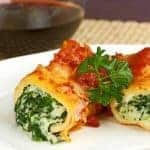 Mix in the parsley and parmesan cheese. If the mixture seems too dry, drizzle in a bit more olive oil. Spray a baking pan large enough to hold the mushroom caps in a single layer with nonstick spray. Arrange the caps, bottoms up, sprinkle them with salt and pepper and drizzle with the remaining 1 tablespoon of olive oil. Using a small spoon, fill each cap with a bit of the breadcrumb mixture, packing tightly. Sprinkle the shredded mozzarella over the tops and bake for about 15 minutes, or until the mushroom caps are tender. Transfer to a platter and serve immediately. You can spear each with a toothpick if desired. These look delicious! My husband is a big mushroom fan, so I know he’d love to try these! Looks and sounds fantastic…a must try! Looking forward to making this! My mother adores stuffed mushrooms. This recipes looks like a perfect appetizer for Thanksgiving. 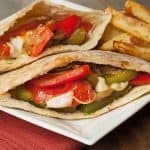 WOW- These look so good! We are having friends over this week and this is what I’ll greet them with.